In 1933, a Dayton, Ohio news photographer, Myron Scott, happened upon a group of boys driving engineless carts down a hill on a local brick street. Fascinated by these boys, the photographer asked them to come back to the same hill in one week to race for a prize. Myron and nineteen boys returned one week later to compete for a trophy. One of the cars, driven by Robert Gravette, became Myron’s vision for future soap box derby cars. The black number seven was hand crafted and well built; this car would become the subject for the derby logo. Myron got the idea to ask the Dayton Daily News to sponsor an actual derby event. He was given $200 to finance it and on August 19, 1933 40,000 spectators gathered on the hill to watch 362 boys compete for a trophy. The local race was such a success that Myron sold the idea to Chevrolet officials as well as Firestone, Goodyear, Goodrich, and General tire companies. 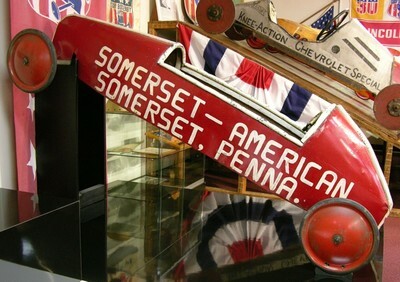 Thirty-four cities were represented in the first ever All-American Soap Box Derby on August 19, 1934. An Omaha, Nebraska car placed second and was beaten by Robert Turner of Muncie, Indiana for the $500 purse. After the 1934 race, Akron city officials, along with Chevrolet and the four tire corporations, moved the race from Dayton to Akron for the first of a long history of All-American Soap Box Derby events. 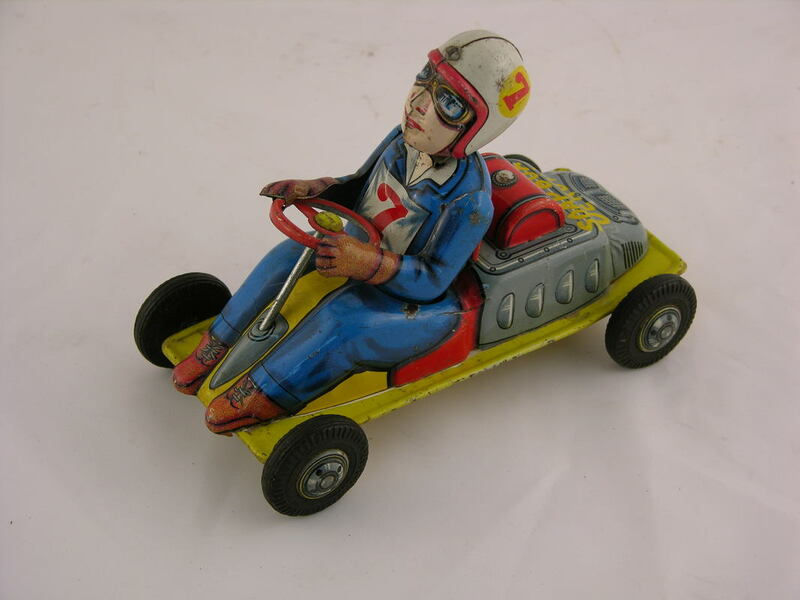 A national rules committee drafted common rules to which all racers would adhere. 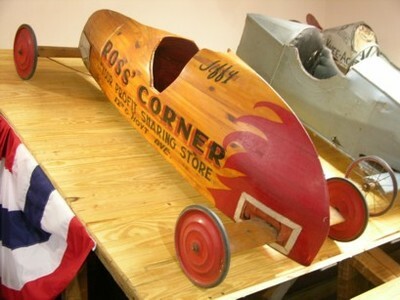 These rules allowed a maximum weight of 250 pounds for each competitor and his car, and maximum height and width requirement for each car. 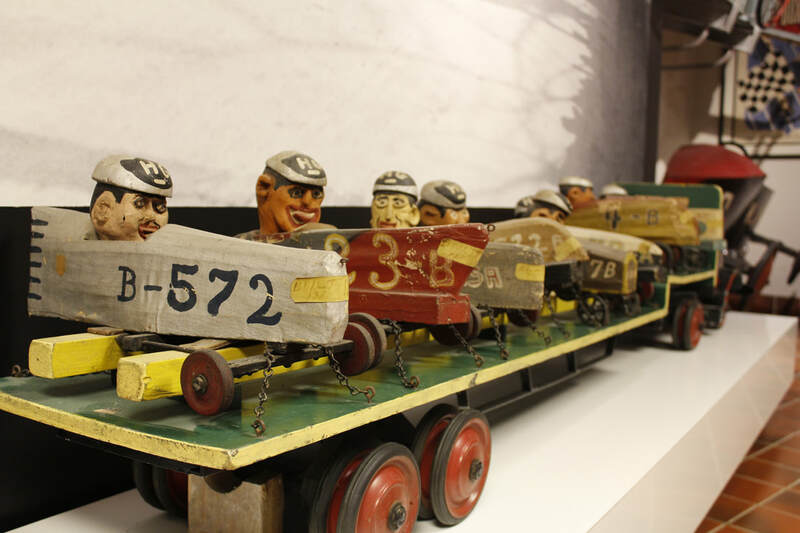 In 1936, Akron civic leaders recognized the need for a permanent track site for the youth racing classic and, through the efforts of the Works Progress Administration (WPA), Derby Downs became a reality. From 1934 to 1972, Chevrolet made scholarship awards to the three finalists which included a brand new Chevrolet motor coach to the second and third place finishers, and a full four-year scholarship to any state university / college to the champion. Still today scholarships are given to the finalists of the All-American Soap Box Derby. Other prizes are awarded for best construction and best design. Though the derby began with only one class of cars, today there are three different classes in which boys and girls can compete. 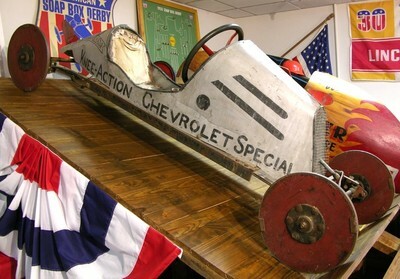 The stock and super stock classes are kits that are purchased and built with adult supervision. Very little modification can be made to these cars, but the classes are great for getting the young racers experience. The third class is the masters’ class which is also kit-based, but requires more skill to complete and several different modifications may be made. Whichever class a boy or girl races in, they will be guaranteed everlasting memories. 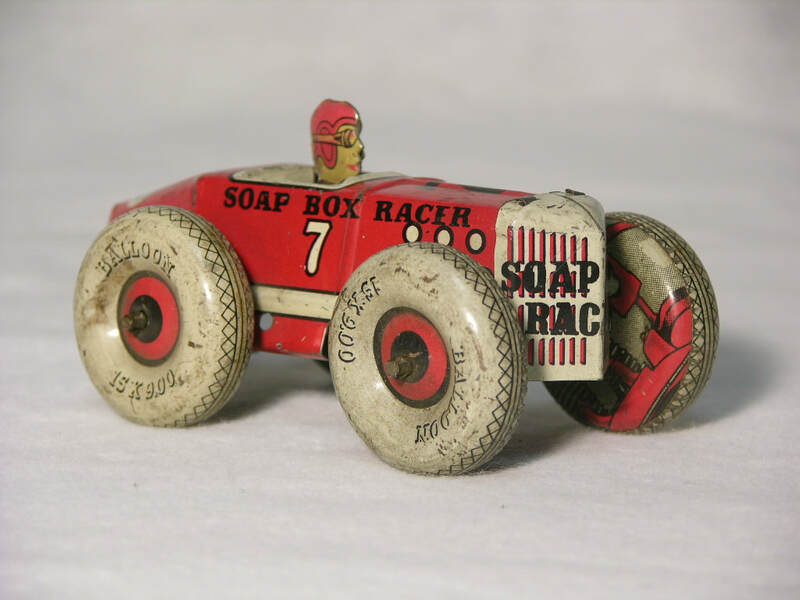 ​The All-American Soap Box Derby was initially an all-boy competition; girls were strictly prohibited to compete in the event. The 1970s would bring a new era of competition to Derby Downs; 1971 was the first year that girls were permitted to race in the derby. Five female champions punched their ticket to Akron, Ohio for the 34th running of the All-American Soap Box Derby. The following year, 27 of the 251 champions qualifying for the derby were girls and, for the first time ever, a girl placed in the top nine. As the years rolled by, many more girls would roll down the hill at Derby Downs, but none of those races were more exciting than the 1975 race that ended in a photo finish. After thorough examination, Karen Stead was declared the world champion and thus the first female to be crowned in what was once an all-boy sport. 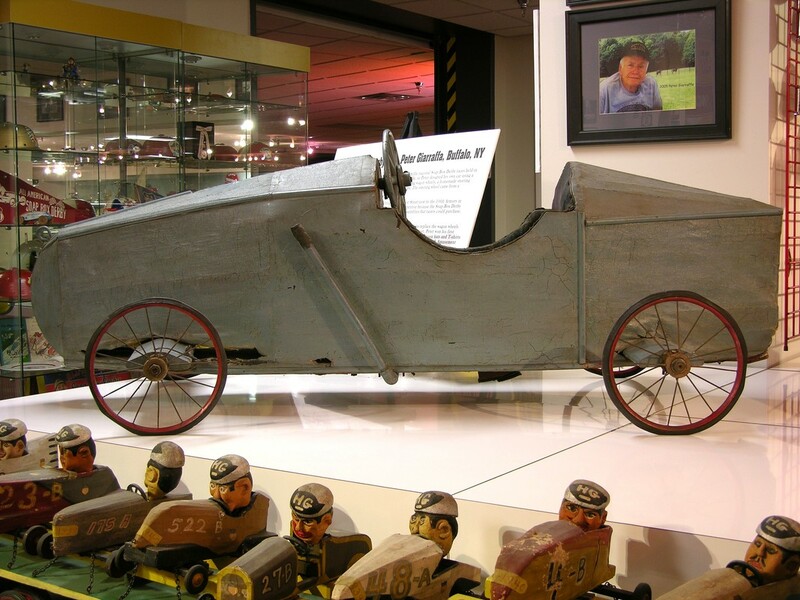 Since then, there have been 27 female champions of the soap box derby. 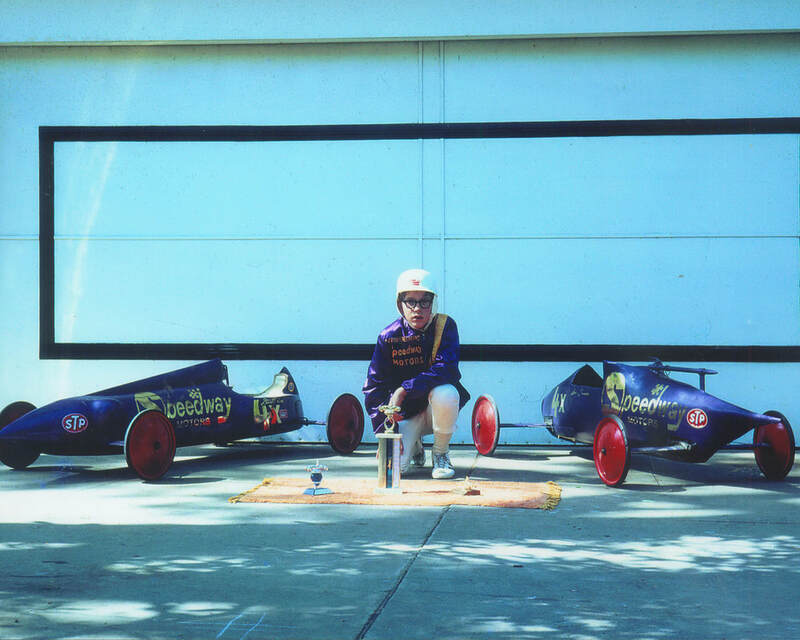 It was a great year for the Derby Girls in 1992 when Bonnie Thornton won the masters division, Loren Hurst won the stock division, and Carolyn Fox took home the kit car title, completing the all-girl sweep of the derby, a feat that has not been matched since. Danielle Del Ferro became the first girl to win back-to-back titles, winning the 1993 kit car title and the 1994 masters championship. 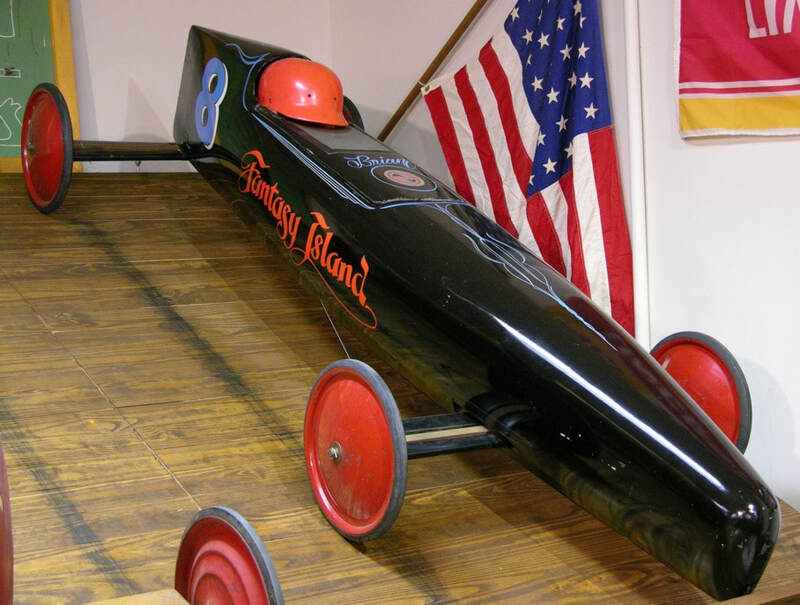 These and all of the girls that have made runs not only at the national level but locally as well have proven that all racing, even the All-American Soap Box Derby, is not just for boys.